This is the Pursue FIRE Each Way Betting Report. 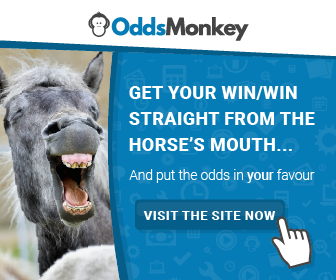 Starting with a bank of just over £500, horses have been selected for ‘each way bets’ based on nothing other than their perceived statistical value across a number of bookmakers using specialised software from OddsMonkey. To date, my account has grown over 900% over a nine-month period to more than £5,300. Okay, with the usual introductions and disclaimers aside, the main focus on March was the Cheltenham Festival – one of the biggest events of the year for horse racing! Bookmakers go crazy during Cheltenham, throwing around offers to tempt in the punters and those that do like a bet, tend to bet big in the hope of winning some decent money. I, like my each way betting peers, was no different and I was very active during Cheltenham week. But, the big question is whether it translated to profits? I guess it would be irrational to expect a betting system to return positive results month after month without fail, but I had kinda gotten used to ‘seeing the green’ so to speak. So, after a phenomenal start to 2019 (January and February combined, netted £3,921 in profits), March saw a total loss of £1,086, knocking back my total bank back down to £5,362. Put another way, that’s a -16.8% decline in the bank for the month. It’s hard to pinpoint exactly why March was a losing month. I did not break from any of my rules as such and continued to take the bets as I saw them, risking 1% or less per bet across a spread of bookmakers. If anything I may have over-betted a little during the Cheltenham Festival (I risked over £10k this month – easily my highest month to date), especially trying to do a significant number of multiple bets. While many of my fellow bettors had incredible returns for the Cheltenham window, it just never got going for me. Perhaps the allure of the festival blind-sided me a little, but…. taken all in, I can’t complain about the returns this year and longer-term. I always expected a losing month to come at some point and, in some ways, it coming after my best ever month keeps me grounded. Since inception in July 2018, I’m still sat on a cumulative gross return of 956% taking the starting bank of £507 to £5,362. In total, 376 bets were completed in March across 23 days. That’s an average of 16.3 bets per day, with 60 multiple bets placed. In total, I turned over volume totalling £10,260 through my chosen bookmakers, yielding a negative –10.6% return on investment (ROI). Using the new fancy-pants waterfall chart format, here is a summary of the results since inception and don’t forget the since inception chart that lives on the live results page, updated through the end of March. As the stats table breaks out above, the overall return comes in at just over 924%! after fees. You can see the overall stats in the table above if interested. So, that’s it from me for March. As I write this (April 4th), I’m currently up more than £1,200 in just the first three days of the month – recovering the losses for March so fingers crossed April gets things back on track for another great month of each way betting!